A Hyun is currently the captain of Ewha Debate Society (EDiS), the oldest debate society in Korea. She is a rising star in the Korea debate community, being the semi-finalist and 8th best speaker at 23rd ICU Tournament in Japan, and the semi-finalist at Korean National Championship. She also broke at North East Asia Open, the most prestigious tournament in Northeast Asia. In addition to her career as a debater, she has a wide range of experiences related to debate. As an adjudicator, she worked as the CAP of the 9th High on Debate, an annual high school workshop and tournament, and now works as External Relations intern to spread the fun of debating across the nation. She is super excited to coach and work with WFUNA this summer! Want to learn debate and leadership? Ask A Hyun! ‘Men or Women are not to be measured by inches’ would be the perfect proverb to explain Sooyeon. For a woman with a petite physique, she has great ambition and passion for debate. Not long after she started debating, her potential in debating has been proved in many local and international debate tournaments, being awarded as one of the rookie Best Speakers in her first KIDA National Championship. Starting from that, she further proved her talents in debate by proceeding to the quarter finals of 2014 spring KIDA National Championship. She has gained various experiences in debates by participating in international debate tournaments such as United Asian Debating Championship, North East Asia Open, Asia British Parliament and many more. Guess what! She is more than excited to share the abundant experience with students. Besides the career as a debater, she also has extensive experience in judging and training. She was a breaking judge home and abroad for both high school and middle school divisions at HUFS-YTN Youth English Debate Championship 2013, Osan Schools Championship, Yonsei- Cornell Invitational High School Tournament, and in SMU Hammers 2014. 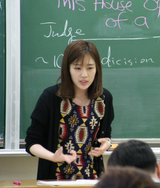 Also she was a Deputy Chief Adjudicator in High On 2013, an annual high school debate workshop hosted by Ewha Debate Society. Chris hopes to inspire and motivate the young talents at WFUNA by teaching not only debate skills, but leadership too. 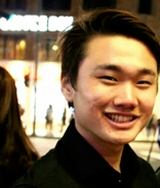 The first ever Asian School Captain of his high school in Australia, Chris is confident that he is up for the challenge. The champion of 2014 China Debate Open,hosted by International Debate Education Association, Chris brought the title to Korean soil for the first time. Having said that, he has also enjoyed much success as an adjudicator; breaking at two consecutive Korean Nationals, Best Adjudicator at the Korea English Debate Championship, and many more. He is an energetic coach who enjoys teaching students and continues to get positive results. Having coached at numerous workshops, schools and running seminars in Korea, Chris is passionate about spreading debate as much as he can. He's already counting down the days, get ready! 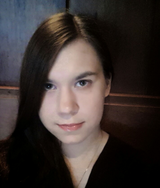 Laura moved to Korea from Finland two years ago to study international relations at Yonsei University. At the same time she left behind Model United Nations and began parliamentary debate. Since then she has become the national rookie champion and reached the national quarterfinals. She has judged at various middle, high school and university tournaments in Korea with success, most notably breaking in 2013 Northeast Asia Open. 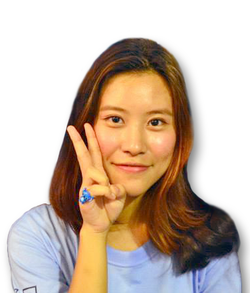 With an international mind and fundamentally Korean debate skills, she will provide a refreshing look into the Korean debate scene. 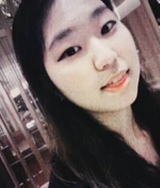 Meena is currently a junior at SungKyunKwan University, majoring in Global Business Administration. She has been very passionate about debating ever since she started debating, being actively involved in the Korean debate circuit. Since then, she continuously broke at major debate tournaments in Korea, being a rookie quarterfinalist of the 2013 Spring KIDA National Championship, octo-finalist of 2013 Asian Debate Institute, and 2014 Spring KNC. She is really looking forward to meeting you all and very thrilled to spread the fun of debating. Do not hesitate to approach her any time and bombard her with all sorts of questions. She is at your service! 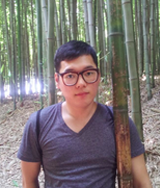 Woohyun David Sung is currently the President of the Chung-Ang University Debate Society (CUDS) and is one of the active debaters within the Korean debate community. He started debating at the KIDA National Championship (KNC) in Korea and was awarded the 9th Best Adjudicator at KNC 2014. At the same time, Woohyun started reaching out to the international debate scene with North East Asia Open (NEAO) being his first international debate tournament. Woohyun, however, also likes to promote debate. 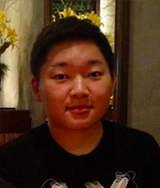 This summer he will serve as one of the organizing committee members for the Asian Debate Institute (ADI). On a side note, Woohyun likes to travel and meet new people! So don’t hesitate and always feel free to ask questions! 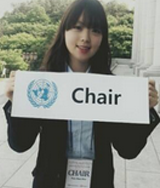 Minsoo Park is currently an active member in CUDS (Chung-Ang University Debate Society). After serving in the military he is very eager to be involved in teaching debate in Korea. He has gained quite a bit of debate experience while participating in debate competitions home and abroad such as KNC, UADC, NEAO and ADI. This summer he will be the Deputy Convener for KIDA IV 2014 and work as an organizing committee for ADI (Asian Debate Institute). He is a funny and energetic person who knows how to enjoy himself and he is looking forward to meeting all of you. So, why don’t you come along and indulge yourself in Debate? 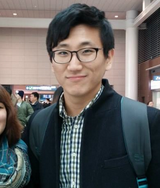 Seulchan Yun, a.k.a debate nerd, has been an active debater in Korea ever since he got into college. He participated in most of the Korea national tournaments as a debater last year including KIDA National Championship, Sogang BP Tournament and Asian Debate Institute. He participated in lots of international tournaments also including ICU tournament as debater, United Asian Debating Championship as a debater. In addition to being a breaking adjudicator at schools tournaments, he has an impressive career as an adjudicator, judging the Grand Finals of Northeast Asia Open, and Korea English Debate Championship. He has experience of not only teaching students, but also being a student debater himself during high school. He knows debate is a special experience and he wants to help others to achieve the same. 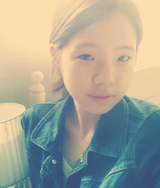 Sunbin Yoo is currently working as a debate mentor in high schools. She devoted her university life in Model UN and debate. Despite her being an EFL speaker, she won many awards at debate and MUN competitions. She believes being an EFL speaker is not a handicap, rather with mentors' help, she firmly believes EFL speakers can also be a good debater. She is very friendly and caring, and actively teaches students. As an international studies major, she is excited to bring a wide range of topics to classroom, ranging from politics, international relations, to economics. Want to learn how to overcome language barriers and learn about various topics, ask Sunbin! Ah Hyun Rosa Im is a veteran coach for the WFUNA Youth Camp, joining the camp as a trainer for the second time. Memorable experience at the last year’s WFUNA Youth Camp, she says, is what prompts her to come back to this year’s youth camp. Besides her experience as a trainer, she has endless passion for debate, participating in numerous tournaments such as Korean National Championship and North East Asia Open as a debater and adjudicator. She is very open minded person who understands how to communicate students. She looks forward to precious reminiscences with students at this year’s camp!